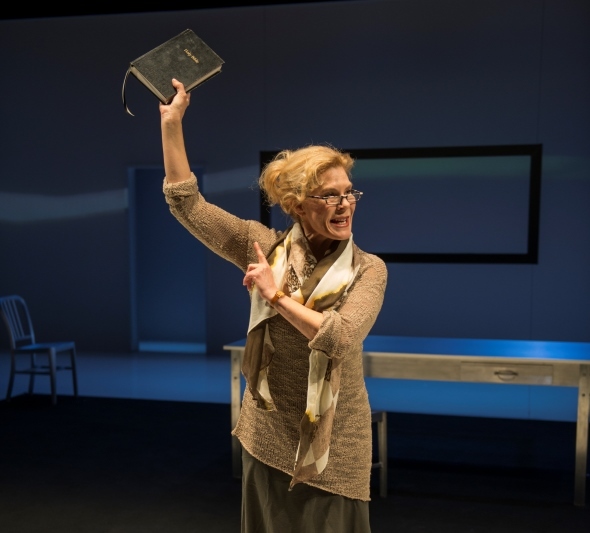 Interview: The star of Court Theatre production says, as a performer, she relates to the intense drive of Bible expert who rejects the book as God’s word. Play runs through April 19. 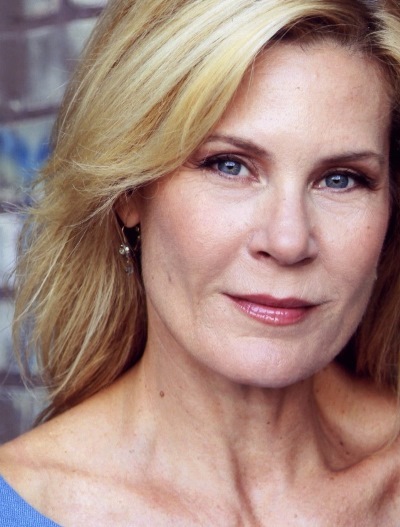 As a veteran actress, Hollis Resnik senses a deep connection with Miriam, the biblical scholar she plays in “The Good Book” at Court Theatre. That commonality, says Resnik, is passion. And therein lies the two-fold fascination of “The Good Book,” co-authored by Denis O’Hare and Lisa Peterson. The play is at once an amusing gloss on how the Bible was cobbled into shape over generations and a sort of mid-life crisis story about a venerable scholar who never has bought into the book’s divine provenance. From Miriam’s perspective, the Bible is a document of literary evolution, not a touchstone of faith. We meet this sharp-minded woman on the first day of class at the college where she teaches. Her extended opening speech is a warning to her students: Leave all your preconceived notions about the Bible at the door. This course is not about belief, it is about good story-telling. And anyway, none of it actually happened. The Red Sea didn’t part for Moses. Adam and Eve? Forget it. But even as we see her ensuing lectures played out by characters of antiquity, the very human authors of the Bible, Miriam runs afoul of one student in particular who insists that every word of the book must be taken at face value, literally – on faith. And her frustration rises. “She’s in fear of losing control of her class,” says Resnik. “There’s always been that one student in a hundred with whom she makes real contact, but she feels the new students are not as open minded, not as intellectually curious as students of the past. When the girl challenges her directly, she feels like somebody is taking away her authority, her power. If Miriam doesn’t quite grasp the toll her frustration is taking, her longtime lover, an archaeologist (played by Kareem Bandealy), does. He tells her she has lost not just her way but her fire as well. She’s about to experience a new loss, and to re-experience an old one: When she is seriously injured, she communes with her mother (Jacqueline Williams), who died when Miriam was a child. “She has lived a wonderful life and become a great scholar,” says Resnik, “but she saw her mother taken from her as a child and nothing miraculous happened to prevent that. We can shut down memory and forget out of convenience. That’s what Miriam has done, but the hurt has never really gone away. In parallel with Miriam’s personal saga is that of an adolescent boy, Connor (Alex Weisman), a devout Catholic, absorbent reader of the Bible, and gay. And confounded by that last emerging reality. Much like its depiction of the Bible’s genesis, she says, the staging of “The Good Book” proved to be a theatrical welter of things put in and taken out, ideas floated and abandoned – a whole lot of making it up as they went along. 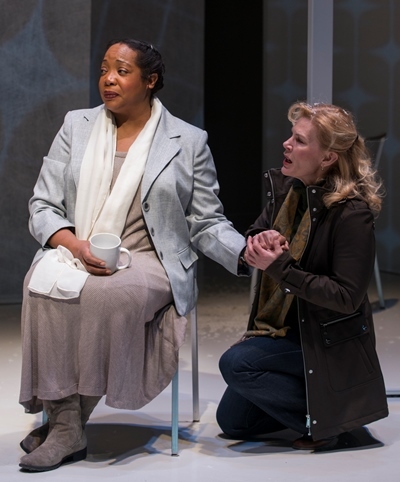 “Rehearsing a new play is always difficult,” says Resnik, “but this one involved more weaving in and out (as various characters and time frames intersected) than usual. We had a couple of workshops, but it often felt like a crap shoot where nothing was set in stone. Fortunately, we had a wonderful group of talented, smart, giving artists committed to making it work.